While many have touted the benefits of acupuncture, others shun alternative medicine until formal research has been done. In the case of many alternative treatments, that work is beginning. New studies done using brain scanning technologies like MRI and PET-CT show that there is a definite neurological reaction to acupuncture, and that that reaction changes depending on which points are used—helpfully reducing the probability that placebo played a role. The studies focused on migraines, and claims that reducing or eliminating migraines were one of the benefits of acupuncture. Given the neurological changes, it’s likely that other brain related issues—depression, chronic pain, etc.—may well soon have support that acupuncture can have a positive effect. 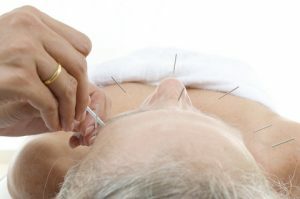 Other potential benefits of acupuncture that many attest to but do have as much research backing them include relief of allergies, helping different body parts heal themselves, and getting through different systemic illnesses. There’s not much risk in trying acupuncture, even if you’re still left wondering “does acupuncture work”. It’s something that can be done alongside traditional treatments, especially as it can be used to counter some of the side-effects of those treatments, like nausea or headaches.